Hi!! 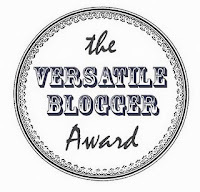 I wanted to let you know that my blog is nominated in the Osterreichischer Blog Award!!! How exciting is that?! But I really need your help to be one of the finalists! And good news for you too...! 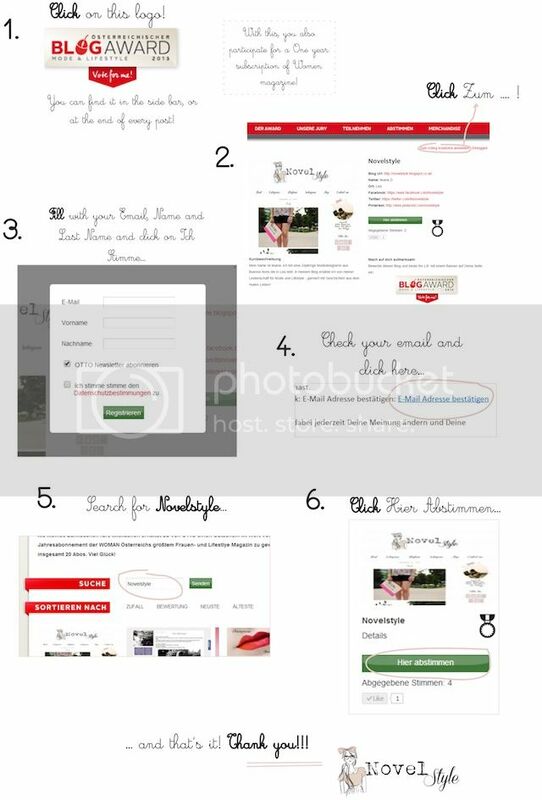 Seems that whoever votes gets the chance to participate for the chance to win an anual subscription to Women magazine! and, as the rules say... I must post 7 interesting facts about me! 1) I love traveling, but I hate flying. Even though I'm a frequent traveller. 2) I live in Austria, and I hate beer, sausages and hiking. 3) My fave restaurant is Cracker Barrel. I'm obsessed with Biscuits. I could eat them all day long! 4) I really can't wait for the Veronica Mars movie!! 5) I always start packing one week before going on a trip. 6) I love handbags and investing on them. At the end, they are the ones that will always fit! And I take so much care of them! Each has its own dust bag and is filled with papers, so it won't get old. 7) I love reading! But I'm always worried the book might not be good enough, and takes me some time to start with it. But once I start reading it... I finish with it in a week, or less. lovely post...I'm the same with books. Congrats on both and so good to know you collect handbag we have something in common. Happy Sunday no need to come over no new post for Sunday. thank you very much for nominate me! Thanks you!!!!!! :) I'm super grateful! Congrats on winning this award!! Fabulous! keep up the great job! Thank you very much Ileana for the Award. It is nice to know more about you. All the best to your Blog nomination. Keep up the good work here. very cool to read more about you ! I wish you everything of the best funny, hope you win, you have my vote! Wishing you a great start to the week doll! 5. Post 7 interesting facts about yourself. I just voted for you. All the best! Thank you again for including me to the Award. Ok I finally figured out how to vote on my ipad! Fingers crossed you win. 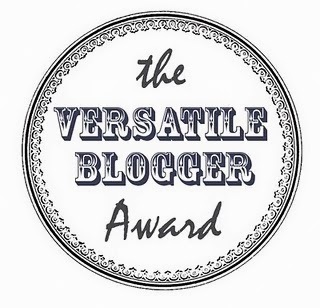 Congrats on the Versatile Blogger award and thanks for nominating me! hahah! Awesome!!! It is really complicated to vote, so annoying!!!! I love your neck pieces! N I voted for you :) Hope you win! Best of luck!